I have a confession. I am responsible for the global marketing in a professional services firm that, from time to time, might be guilty of social spamming. 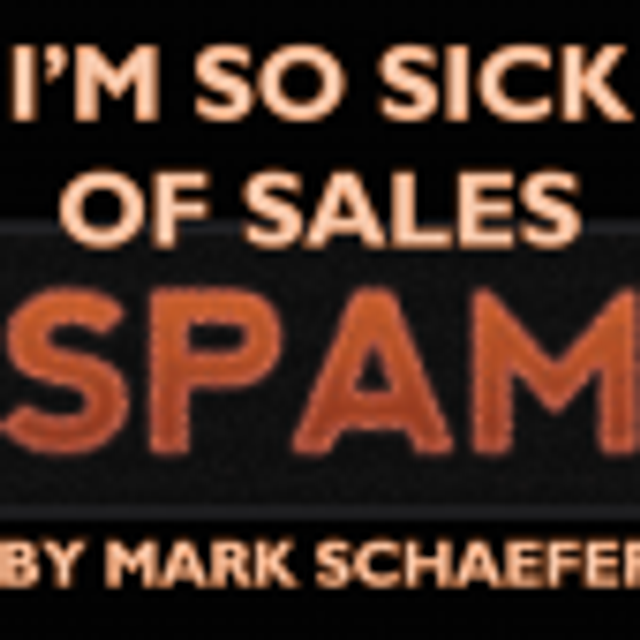 With that off my chest, I wanted to share this excellent post by Mark Schaefer. I don't know this gentleman but his observations around automated sales spam struck a chord with me. These are blasted out via Pardot which is connected to Salesforce and we look to engage with new prospects and to nurture those who have already opted in. All in the cause of showing how great we are so that we might be considered as an agency worth talking too. We're driven by a belief in social selling and we get the power of expert to expert communication. So when an authority like Mark takes the time to point out some home truths, it forces us (me) to stop for a moment to reflect on what we do and how we are doing it. His key points include the importance of making an authentic connection by not relying on the spray and pray approach but rather by taking the time to connect and engage. The principle of reciprocity plays large here. You engage with me and I'll likely reciprocate if it's of value. Mark makes the point that building social capital is an investment we have to make. We have to build online relationships; treat our prospects as humans; and nurture the relationship. This is the principle we have within the Hotwire marketing organization. As much as I would like to bring new prospects into the top of the funnel and then convert them to live prospects within a month, the reality is far different. It takes months and years to build that social capital and to create a relationship of trust and familiarity. And you can't do that by social spamming. I'm going away now to look at our content calendar to ensure the next communication with our prospect community doesn't fall into the trap of social spam! Marketing technology now provides us with this intoxicating opportunity to automate our sales messages … we can blast product pitches to hundreds, thousands, maybe even millions of people through LinkedIn, email, Twitter and other channels. But just because you CAN doesn’t mean you SHOULD.